Writing implements aren't going to be supplanted by touchscreen devices anytime soon. 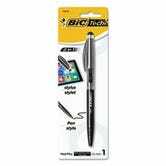 But that isn't stopping Bic from hedging its bets and ensuring its classic see-through plastic pens remain relevant. 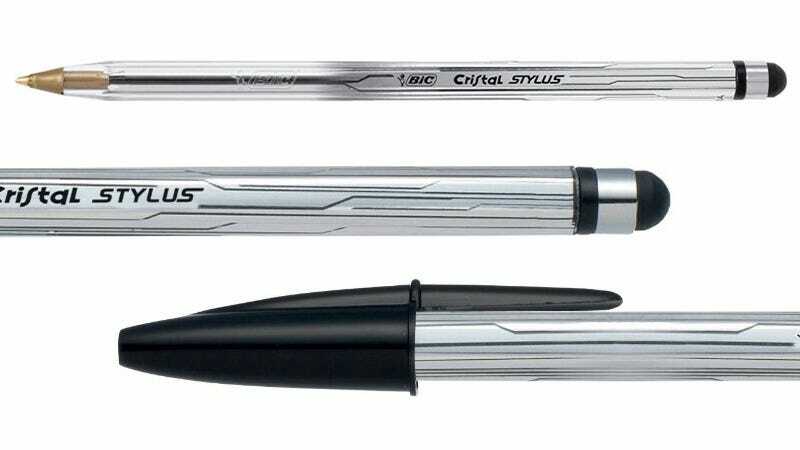 The company's new Cristal Stylus features a rubber tip on the bottom letting you jot notes on a touchscreen device, while the business end still features a ballpoint ink tip for writing on paper. There are a few catches, though. At around $14 for three they're definitely more expensive. And those of us who chew the ends of Bic pens to shreds will need to find another vice.